Earn consistent profits trading commodities, even if you're a newcomer to the commodities markets! 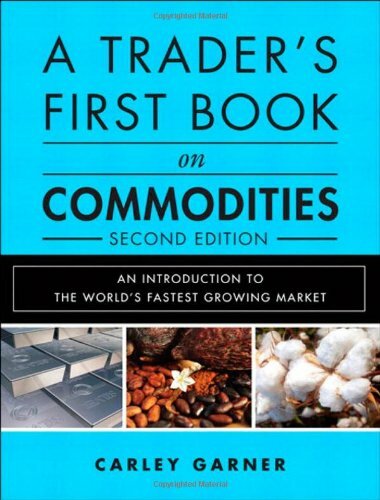 Carley Garner's A Trader’s First Book on Commodities, Second Edition is today's most practical and realistic introduction to successful commodities trading. More than any other primer, it recognizes that the most important trading decisions are made long before the first trade is executed. Drawing on years of dealing with retail traders from all walks of life, experience levels, and amounts of risk capital, Garner answers the most pressing questions newcomers ask -- and the questions they haven't realized they need to ask. This extensively updated Second Edition reflects major changes in the market over the past three years, including new trading challenges, platforms, tools, data resources, and risks. Garner presents a hard-eyed look at the collapses of MF Global and PFGBEST, their failure to honor the sanctity of “Customer Segregated Funds” accounts, the implications for investors, and techniques for mitigating these new risks. She has added new charts and example trades throughout; new coverage of commodity impacts arising from recent events in Europe; important information about new technological improvements and competitive intraday position margin standards; and much more. If you have any questions about this product by Brand: FT Press, contact us by completing and submitting the form below. If you are looking for a specif part number, please include it with your message.